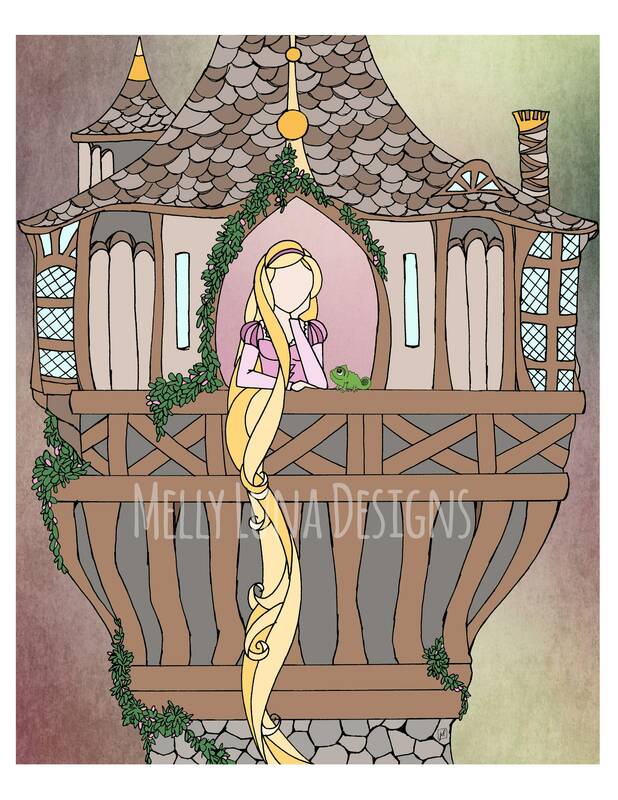 Original artwork inspired by Disney Princess Rapunzel. 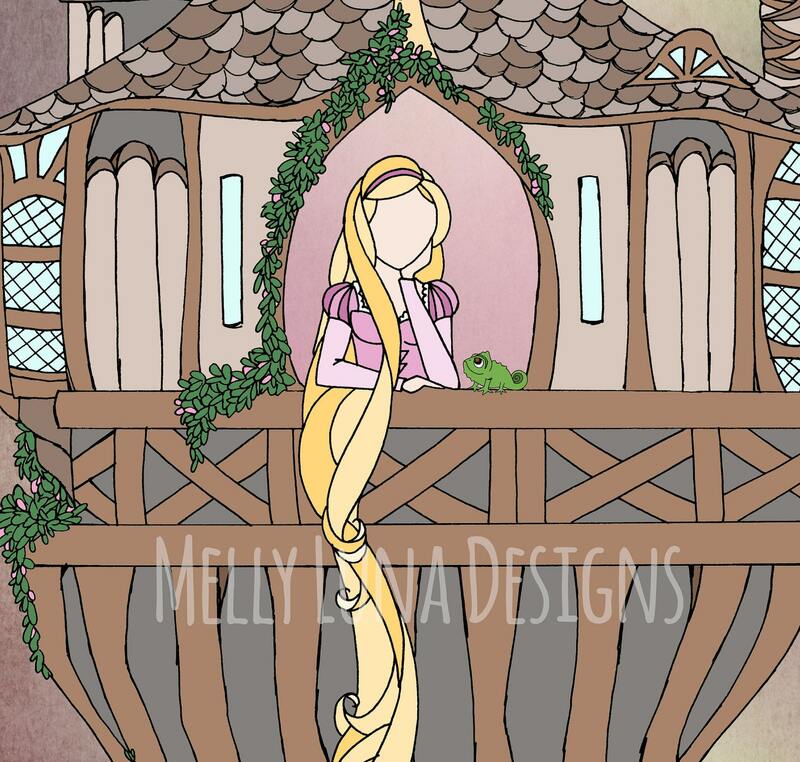 Wondering about life outside of the tower...she wistfully looks out on the lands around her. The original art was created with pen and ink techniques and then overlaid on an abstract background. The abstract background was sourced from a fellow Etsy artist of DigiTreats https://www.etsy.com/shop/DigiTreats.